JERUSALEM (Reuters) – Israel is deploying all of its missile defenses as a precaution against possible Syrian retaliatory attacks should Western powers carry out threatened strikes on Syria, Israeli Army Radio said on Wednesday. It did not say how many interceptor batteries were mobilized by Israel’s air defense corps. The missile defenses include the short-range Iron Dome, the mid-range Patriot and the long-range Arrow II. Facing potentially imminent attack by the United States and other Western powers over its alleged use of chemical weapons, Damascus has hinted it could shoot back at the Jewish state, its old foe. Israel is also braced for rocket salvoes from Hezbollah, Syria’s Lebanese militia ally. He declined to elaborate on the military deployments. Prime Minister Benjamin Netanyahu said on Tuesday that Israel sought to stay out of the Syrian crisis but would respond forcefully to any attempt to attack it. 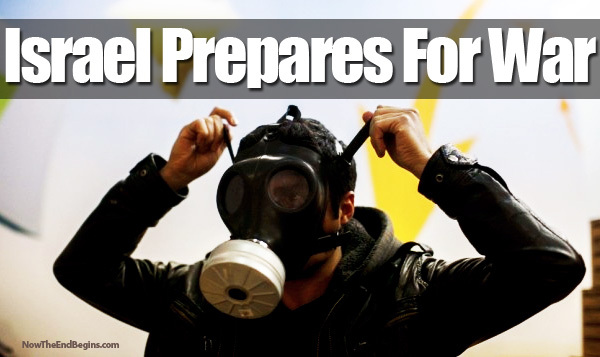 He struck a more calming tone on Wednesday, as Israelis stood in long lines at gas mask distribution centers in shopping malls. Israel has provided its citizens with equipment to cope with possible chemical or biological attacks since the 1991 Gulf War, when U.S.-led troops drove Iraq out of Kuwait.